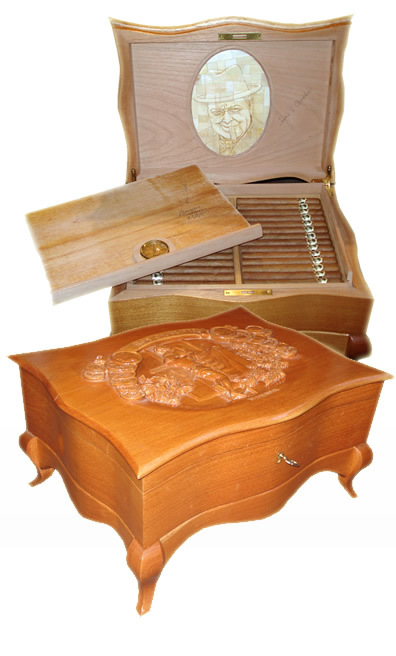 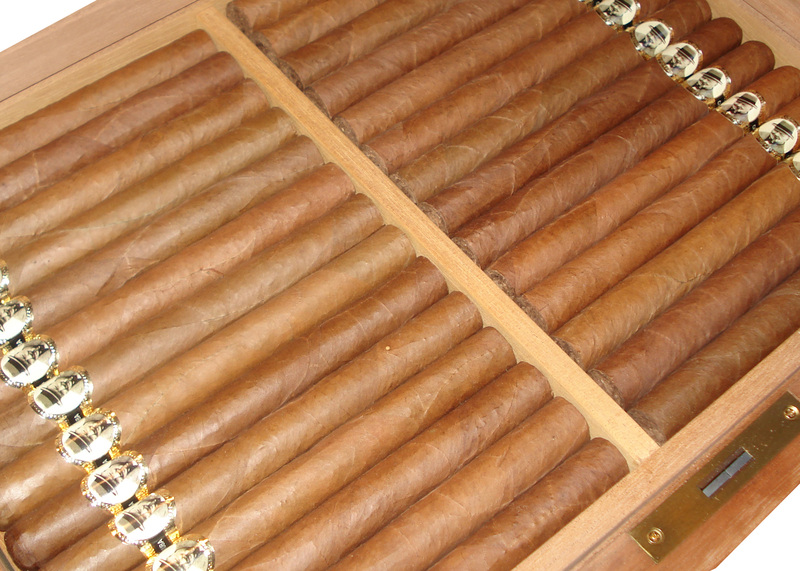 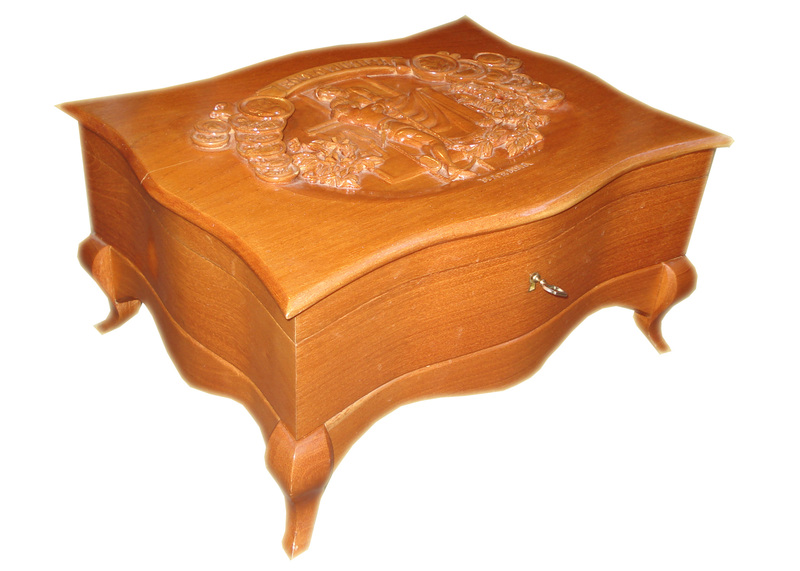 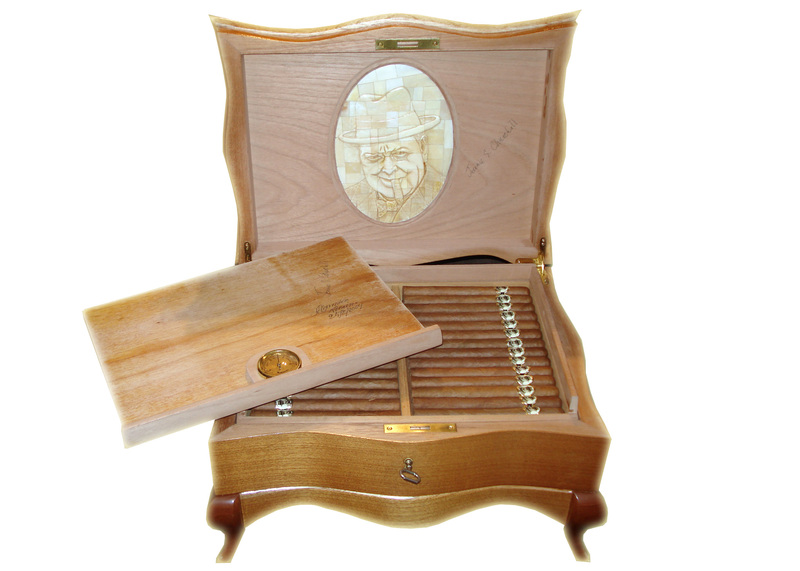 This special humidor was presented to Jennie Churchill by Don Alejandro Robaina at the Boisdale party in Havana in 2004 and contains 108 specially banded Churchill size cigars. 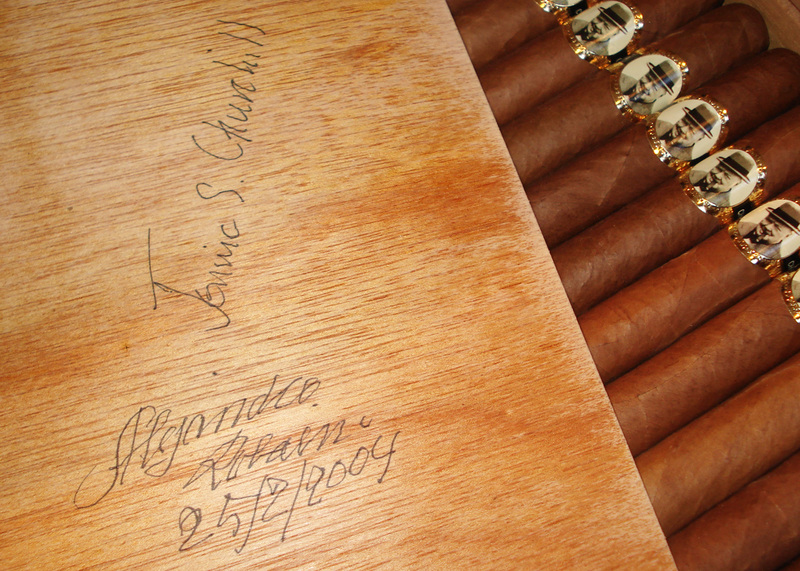 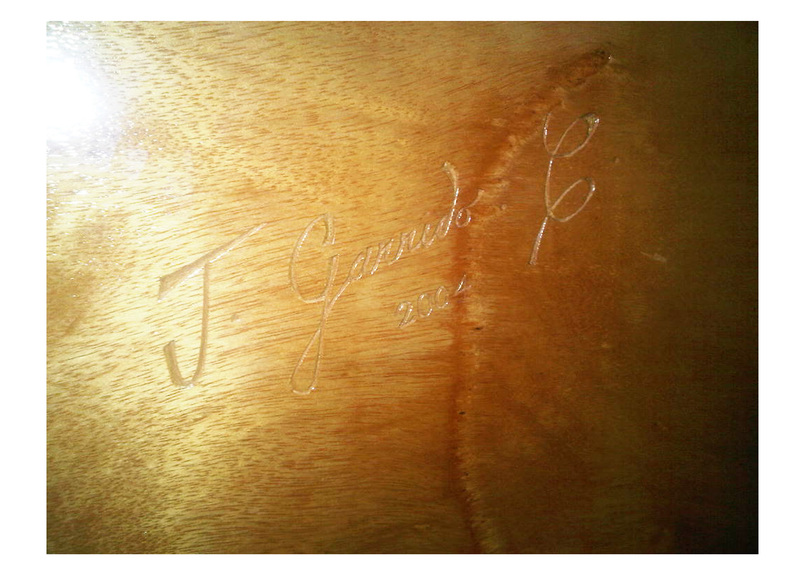 The Humidor is signed by Don Alejandro Robaina and Jennie Churchill . 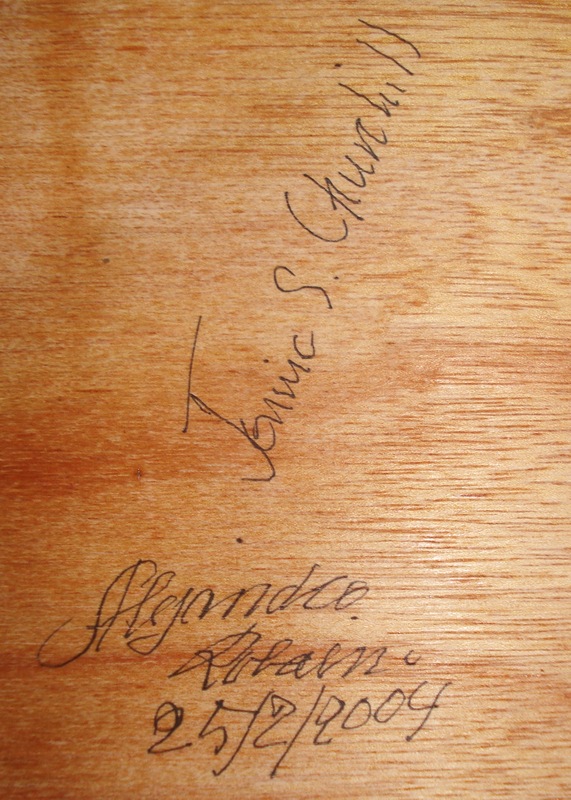 Jennie Churchill will be pleased to be photographed with the winner of the Lot as well as say a few words at the event about her late Father and Grandfather. 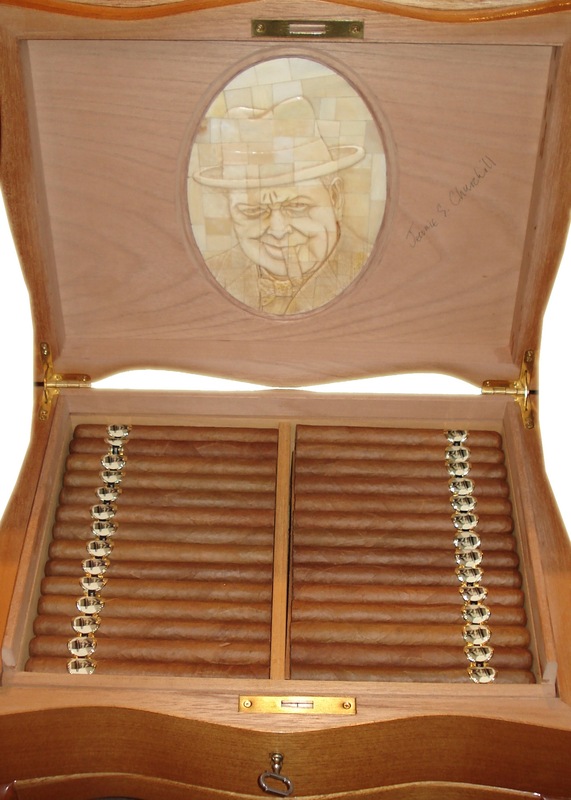 All proceeds from the sale of this Lot (including C.Gars Ltd Auctioneers fees) will be donated to two charities of the choosing of Jennie Churchill. 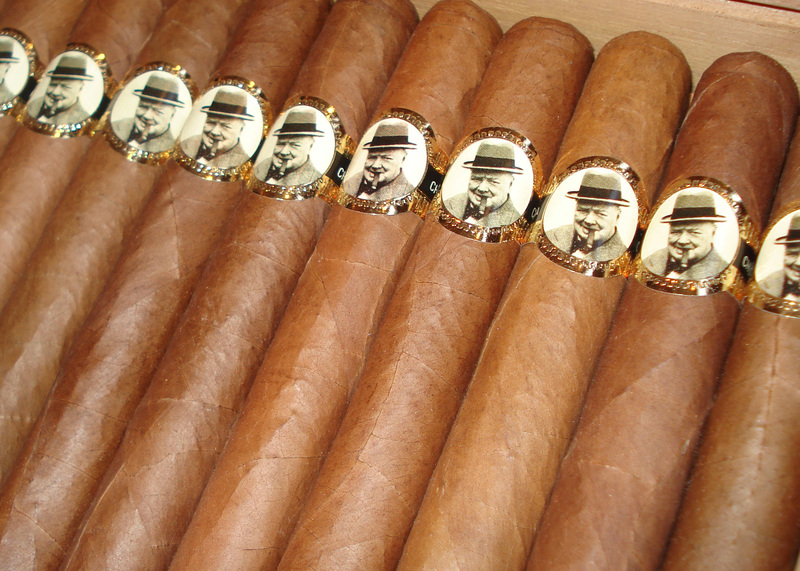 These are Action Against Hunger and the Prostate Cancer charity.